Are the NDI guidelines the ultimate FDA tool to freeze dietary supplement innovation? A special report by Robert Verkerk, PhD, ANH-USA Scientific Director and ANH-Europe Executive and Scientific Director. If the US natural products industry values its ability to keep a diverse range of products available for the benefit of the American public, and believes in not exposing the public to unnecessary costs, we strongly suggest that it look very closely at the latest guidelines from the FDA—with eyes wide open. We refer to the FDA guidelines on so-called “new dietary ingredients” (NDIs) that we’ve been telling you about over the past several weeks. These guidelines preempt a crackdown on ingredients used in natural products, one that appears to be coordinated closely with a similar clampdown happening currently in Europe. The guidelines bear an uncanny likeness to the European Union’s Novel Food Regulation. The justification given for the new guidelines is—as is always the case when facing a tighter regulatory noose around dietary supplements—consumer safety. This of course brings about a predictable response from the natural health sector: “But where are the dead bodies?” It’s actually quite a pertinent question, and one that is rarely taken seriously by the FDA or other regulators. A careful examination of the most recent two years of US National Poison Data System (NPDS) figures reveals that, of all products to which we are exposed that might cause harm, pharmaceutical drugs caused 80% and 81% of fatalities, respectively. The majority of these were from unintentional poisoning. Are you surprised? It makes it even more of a wonder that regulators continue to try to convince the public that pharmaceutical-like regulation will be the best way of guaranteeing their safety! The NPDS data, combined with other data from the Centers for Disease Control and Prevention (CDC), shows emphatically that botanicals and dietary supplements are the safest products that we put in our mouths. Secret documents reveal that government-funded experts were warned nearly 30 years ago that tranquillisers that were later prescribed to millions of people could cause brain damage. 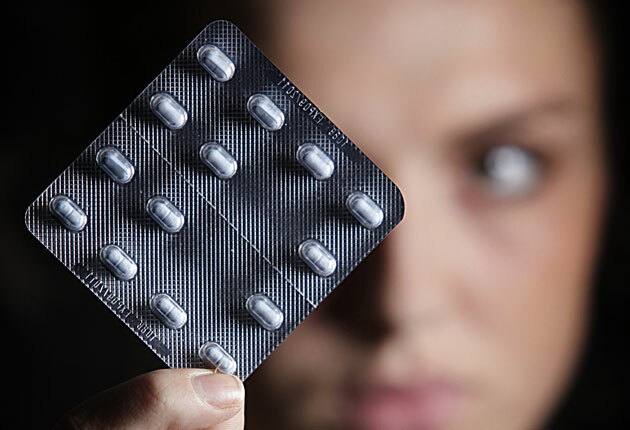 Council (MRC) agreed in 1982 that there should be large-scale studies to examine the long-term impact of benzodiazepines after research by a leading psychiatrist showed brain shrinkage in some patients similar to the effects of long-term alcohol abuse. However, no such work was ever carried out into the effects of drugs such as Valium, Mogadon and Librium – and doctors went on prescribing them to patients for anxiety, stress, insomnia and muscle spasms. If you’ve experienced sticker shock at the pharmacy and wondered why drug prices are always rising, even for generics, consider the value of salt. Baxter International, which sells drugs to health care providers and pharmacies, billed Medicaid $928 for $1.71 worth of saline solution — a 54,000% markup — for more than 10 years before a Louisiana state lawsuit caught the deception last month. Baxter also charged the same amount for sugar water — dextrose solution, an intravenous medication used to treat hypoglycemia. Cost to the company was just $2.25 wholesale, and so, a 41,000% markup. …an independent report last month showed First DataBank conspired with McKesson Corp., a drug distributor, to raise, fix, and maintain the reported prices of more than 400 brand name drugs. The collusion, which led to a $15 million settlement with the state of Connecticut, raised costs for widely used prescription drugs such as Lipitor, Allegra, Asmacort, Celebrex, Flonase, Neurontin, Nexium, Prevacid and Valium. 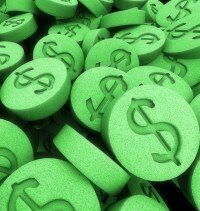 Who were the top 50 psychiatrists in the U.S. paid by the top seven pharmaceutical companies? This past week, ProPublica, an independent, non-profit newsroom that produces investigative journalism in the public interest, recently decided to answer that question by compiling a list of 384 physicians and health care providers who earned more than $100,000 total from one or more of the seven companies that have disclosed payments in 2009 and early 2010. Click here for the full list of 384 physicians. We combed that list and found the top 50 psychiatry earners for the past two years (2009-2010). You can click on any name below to learn more about the physician. According to an accompanying article to this data, ProPublic notes that “[p]ayments to doctors for promotional work are not illegal and can be beneficial. Strong relationships between pharmaceutical companies and physicians are critical to developing new and better treatments.” Perhaps, but for far too long, companies have used physicians as empty-headed mouthpieces for their marketing propaganda.